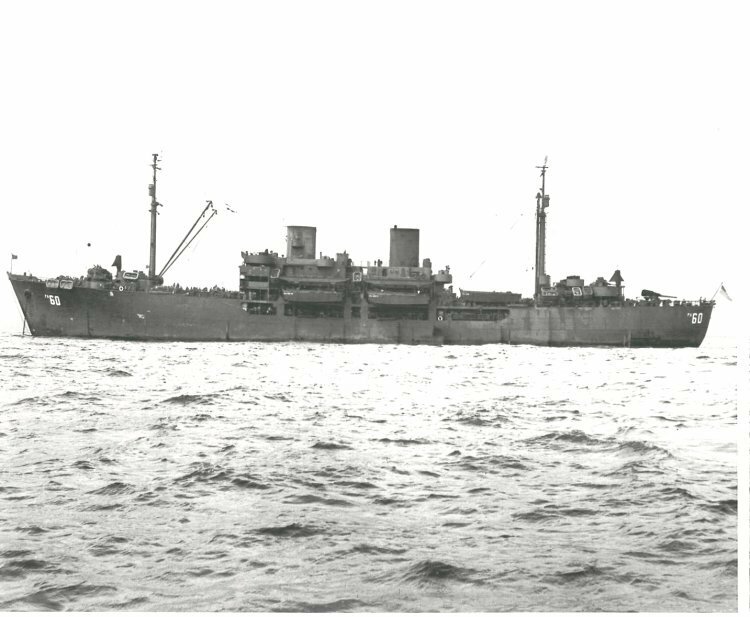 Laid down, 24 January 1944, as a Maritime Commission type (S4-SE2-BD1) hull, under Maritime Commission contract,(MC hull 1853) at Consolidated Steel Corp, Wilmington CA. Largest Boom Capacity 15 t.
76k USS Banner (APA-60) at anchor off the Naval Repair Base, San Diego, CA., 27 October 1945. 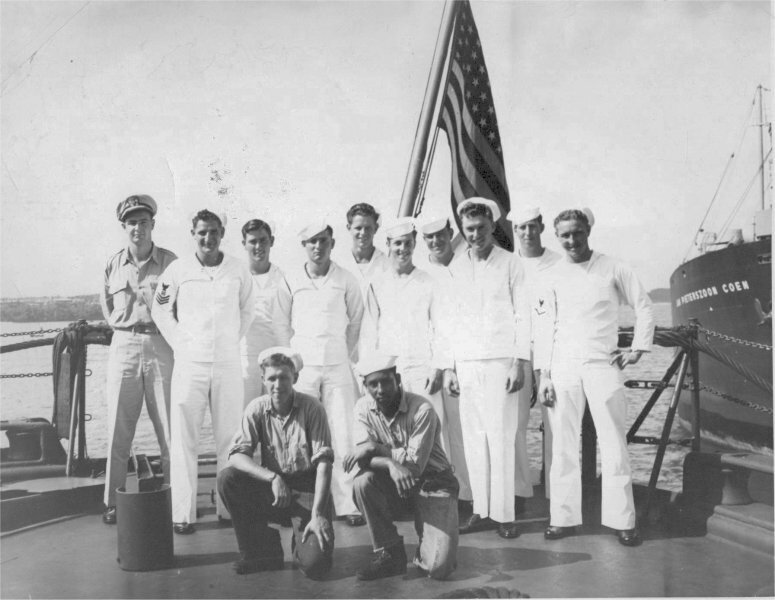 100k USS Banner (APA-60) Landing Craft Division, Joseph Villy Touchet, fourth row, tenth from the left. 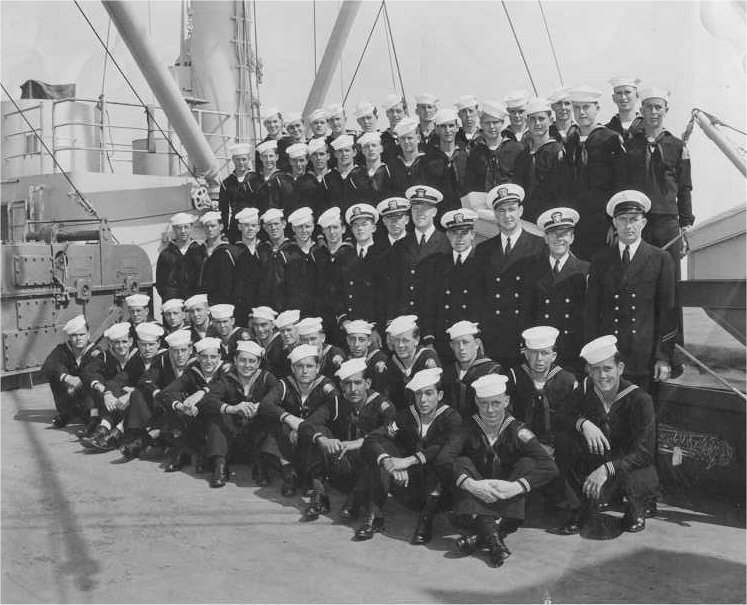 70k USS Banner (APA-60) crew members, date unknown. Wes Stone, Lusby, MD. In memory of the men who trained at the USNATB Solomons. 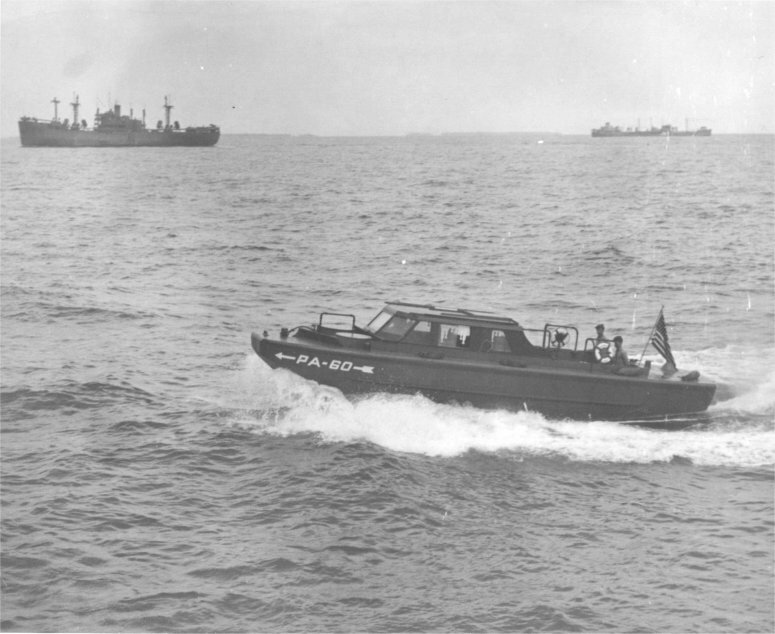 84k One of USS Banner (APA-60) boats underway, date and location unknown. Wes Stone, Lusby, MD. In memory of the men who trained at the USNATB Solomons.